My 7 year old grandson and I were out for a walk last fall and spotted black walnuts that had fallen from a tree. 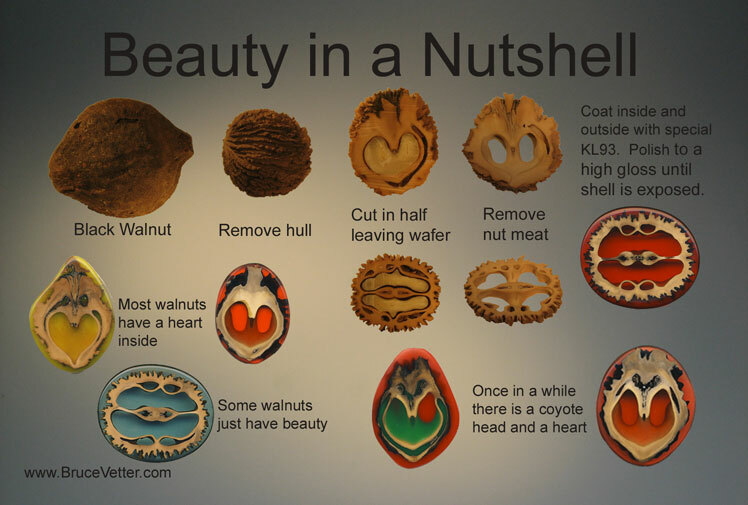 I wanted to show him the engineering and beauty I knew was inside each nut. This process went on for the next 7 months until I arrived at what you see here. I am amazed that something laying on the ground under a tree that looks like dog droppings can have such beauty inside. These are like the Rorschach inkblot test, everybody sees something different.